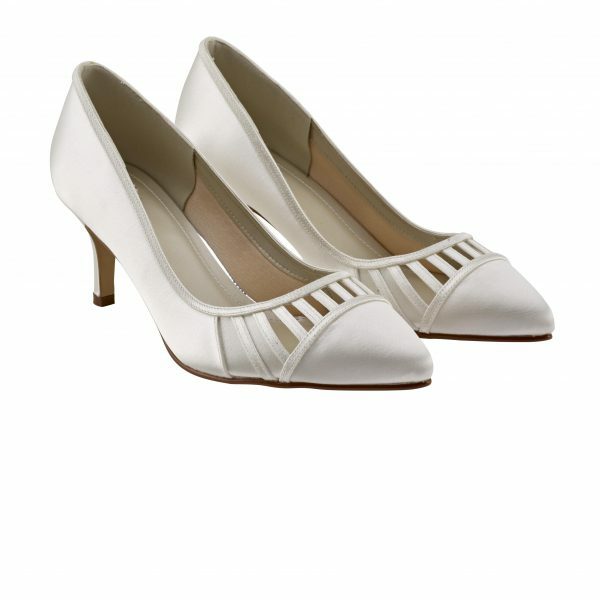 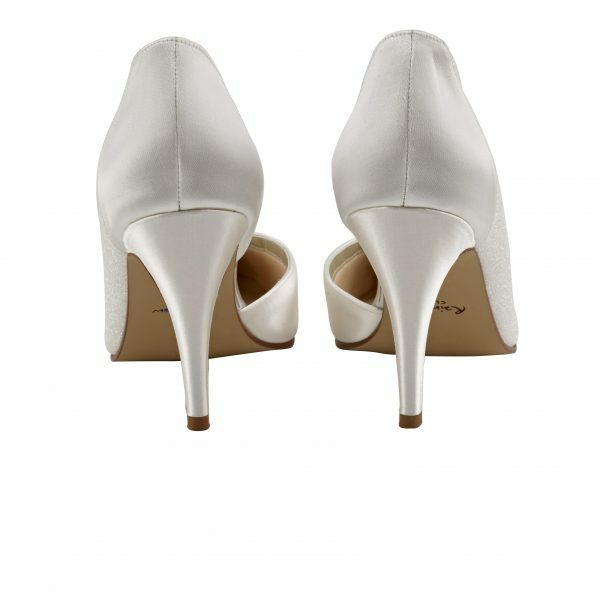 Perfect Bridal Harriet Shoes. 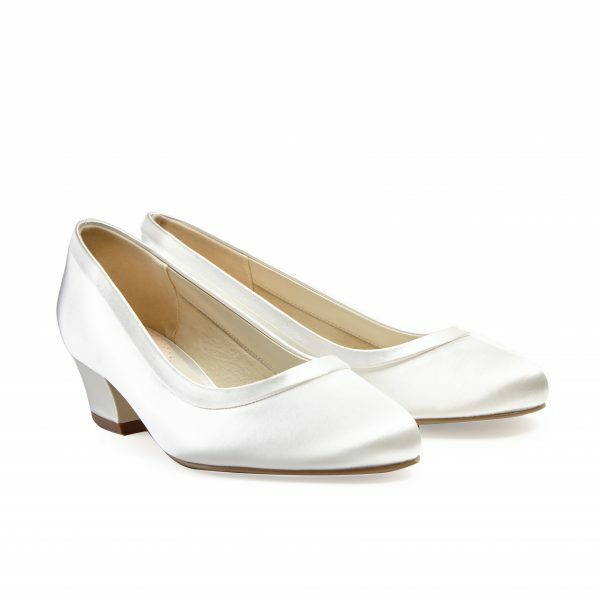 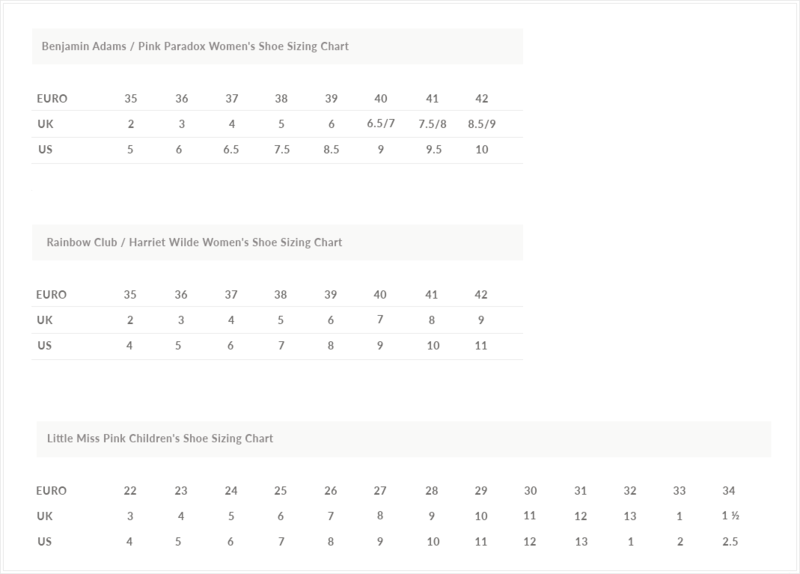 Harriet is a statement block heel court shoe. 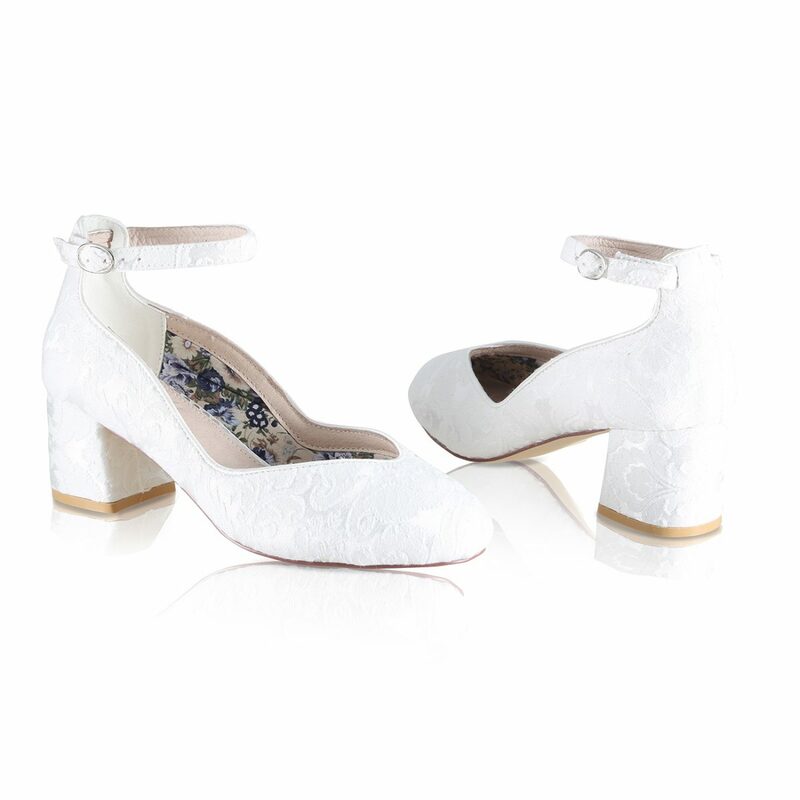 Made from ivory brocade and a very comfortable ankle strap. 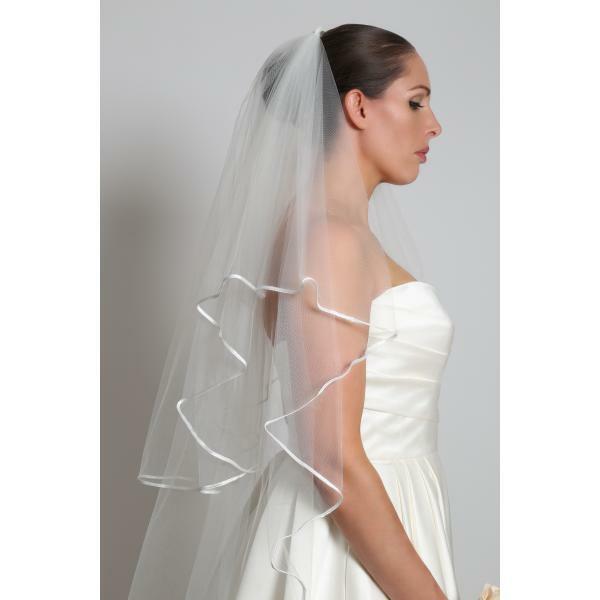 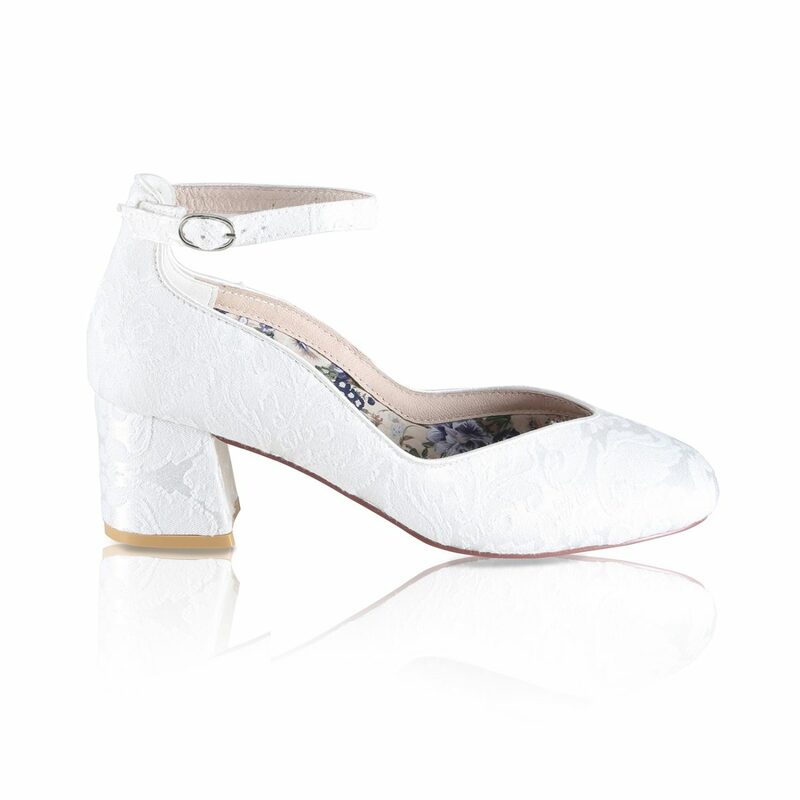 With a shaped satin topline that perfectly compliments the soft sheen of the brocade fabric! 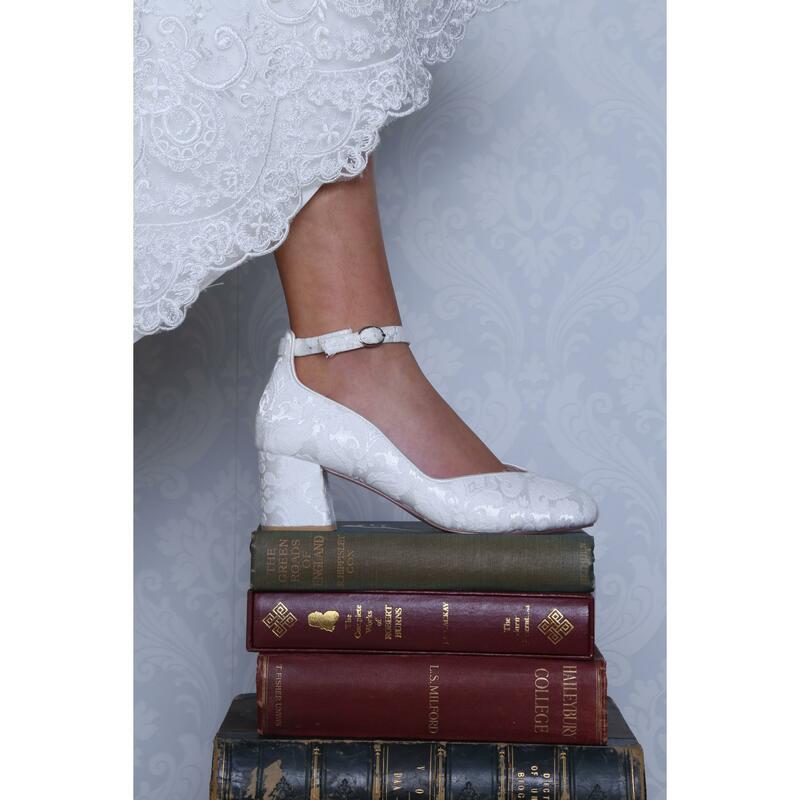 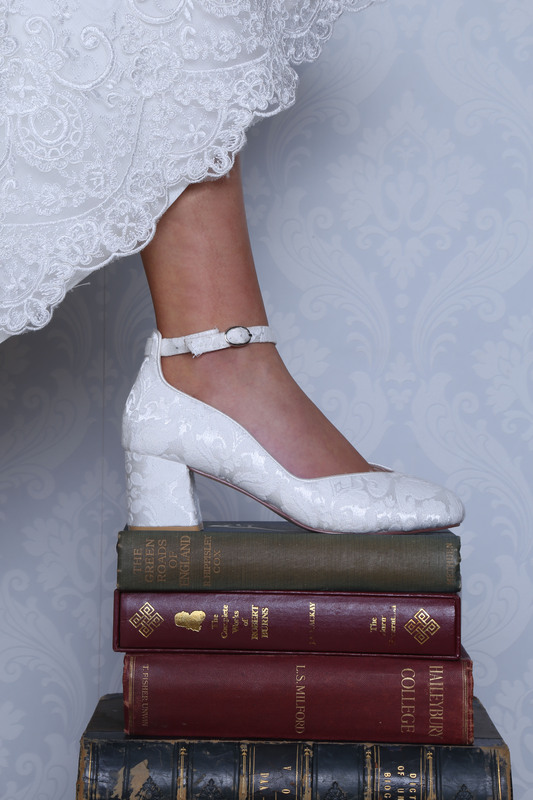 Harriet is a vintage inspired court shoe who’s block heel and soft leather and fabric lining and sock all fully cushioned will provide the ultimate comfort on that special day!